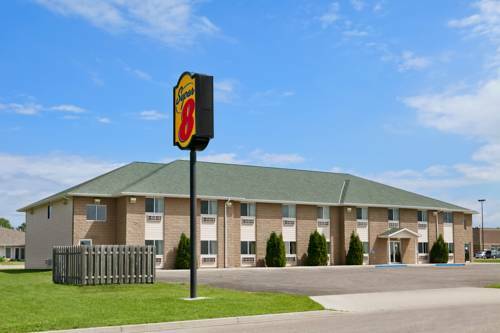 The Super 8 in Bottineau, ND is located near Tommy Turtle Park, offers fishing, hiking, biking, ice arena, snowmobile trails. After a day of outside activities come and enjoy the fireplace in our beautiful, expansive lobby. Stay in one of our queen size rooms with a mircrowave and refrigerator and enjoy our Super Start Breakfast in the morning. Our facility offers high speed wireless internet, hairdryers, AmFmRadio Alarm Clocks, HBO, ample truck/rv parking, free local phone calls. See you a long the way. This property is 100 percent smoke free. A restful spot that marks our peaceful intentions toward Canada, as long as they don't get too uppity. Towering Cliff Thompson was also known as "Count Olaf" and "the world's largest dairy farmer."